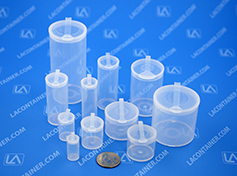 Polyvials® are a line of Laboratory Grade vials and ESD vials available in any of five distinct materials for your specific use requirements. 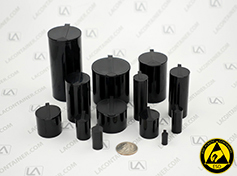 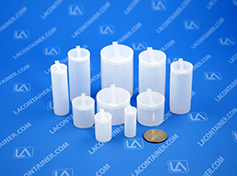 These include Standard Grade Polypropylene, Lab Grade Polyethylene, Conductive Anti-Static, Blue Static Dissipative, Neutron Activation Analysis, and Gamma Sterilizable. 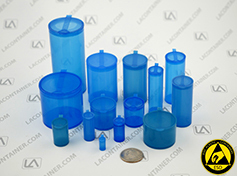 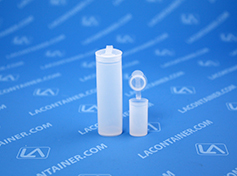 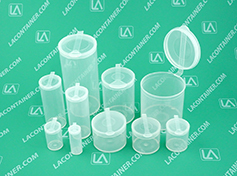 These small plastic containers feature an attached hinged-lid that is air and moisture resistant.